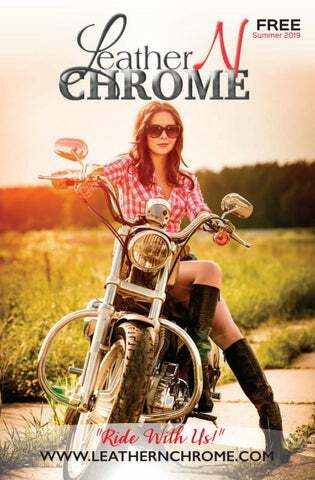 Mac Webb 812-686-7070 mac.webb@leathernchrome.com Leather N Chrome is published every quarter. All rights reserved. No part of the magazine may be reproduced without express written consent of Leather N Chrome. The publisher accepts no responsibility for slander of any group or organization, failure to produce any issue as scheduled due to reasons beyond our control, errors or omissions of content. All submissions sent to Leather N Chrome are considered as unconditionally assigned for publication and copyright purposes. Publisher accepts no responsibility for any and all suits for liable, plagiarism, copyright infringement and authorized use of a person's name or photograph. Publisher does not promote the abuse of alcohol. LETTER FROM THE EDITOR SUMMER 2019 After a LONG, COLD, RAINY Winter and Spring, Summer is finally here! Summer is always an exciting time for bikers. There’s something to do nearly every night and there’s never a shortage of fun and adventurous places to ride.This Summer starts year 4 for Leather N Chrome! We’ve grown from a small local publication to now spanning two entire states! A special thank you goes out to all of the businesses and events that support Leather N Chrome and the riding community. Check out lncbiker.com for a map of all of our advertisers and places to ride. I hope in year 4, we continue to grow, welcome new readers, and new advertisers. A sincere thanks from our entire team to you! As always, keep the wheels down and chrome up. Located in Lynnville Indiana lies a unique building that has served the community for many years.The building has been everything from a radiator shop to now being the home of the best stromboli.The Old Fox is a community ﬁxture.You know everytime you stop in, the beer will be cold and the food will be hot. The current location was never meant to be its permanent location though. The prior building, located at the Lynnville 4-way stop, burned, causing the relocation. The current building was even lovingly called “The Temporary Fox.” The Old Fox has some interesting stories that you’d only believe if you saw.Though not encouraged,The Old Fox has had horses, motorcycles and dirt bikes ridden through the building. If you haven't been there to enjoy their great food and unique establishment, we highly encourage the trip. The ride to the Old Fox is an enjoyable ride through the rolling hills of southern Indiana. Stop in and check it out. TEXT “SMOKINBBQ” TO 77948 TO GET A FREE 16 OZ DRINK! STANDARD FEATURES 2013 Raider SCL -- a very special, very limited production Raider for those wanting a truly unique chopper-inspired machine. Only 500 will be built and will feature everything that makes the Raider SCL one of the world's great performance cruisers, and more. Raider SCL (Star Custom Line) comes equipped with billet wheels & pulley, custom leather seat, braided stainless steel throttle cables, clutch and brake hoses. Inspecting brake fluid is probably the most neglected item on a motorcycle. PERSONALIZED DOGTAGS WHILE YOU WAIT! More and more women are leaving the passenger seat to ride on their own.This doesn’t mean passengers will go extinct. We love the fact that female riders are becoming such a major factor in the riding industry. However, there is plenty of value and experiences that come from the passenger seat. Here’s some tips to ensure you’re being a good passenger. 1. Don’t get on the bike until the rider is ready. A shift in weight before the rider is ready can drop the bike, and you. 2. When taking a curve, look over the riders inside shoulder. Doing so will provide a proper angle. 3. By staying alert you may be able to notice upcoming hazards. You often have a wider vision than the rider that can be beneﬁcial. 4. If you pay attention to the riders physical signals, like muscles tightening, you can often brace for a quick stop. 5. Communication is key. If you need to stop, make it aware. If you’re navigating provide plenty of distance for the rider to maneuver. LIVE MUSIC! GAMES! CONTESTS! VENDORS! SHOWERS! MORE! DONâ&#x20AC;&#x2122;T MISS AN ISSUE! Have Leather N Chrome delivered to YOU every quarter for $15 a year! "Where Local Folks bring visitors for Owensboro's best Bar-B-Q." ...A fine tradition for 6 generations! Since 1865, our knowledge has always been your best insurance! B IG G E S T , B AD DE S T , MO S T R E AL IS T IC T AT T O O S & C O VE R UP S IN T HE AR E A! Every Monday Night at Cross Pointe Location! "Always Fresh Never Frozen" Home of the 9 Patty Burger Challenge! SHOW THIS AD WHEN YOU ORDER! *Must show this coupon at time of purchase. Redeemable at either location. Free sandwich must be of equal or lesser value. Not valid with any other coupon, discounts or offers. 3. A person in a truck, car, or van 4. A seat for a passenger behind a motorcyclist. 6. The highest point 7. 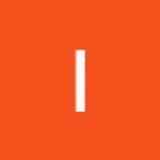 Used in an internal combustion engine to derive motion, 8. A two-wheeled vehicle that is powered by a motor and has no pedals. 9. A wide way leading from one place to another 1O. Circular objects that revolves on an axle. 1. Take or carry (people or goods) from one place to another by means ofa vehicle 2. A motorcyclist 5. A material made from the skin of an animal by tanning or a similar process.